- Take you favourite pillow with you when you are away from home - its has the same shape and function as the Original Pillow by TEMPUR, but is half the width. This pillow is supplied with a travel bag which compresses the volume 70% when packed. Traveling is stressful. 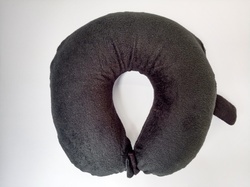 Comfortable travel pillows help you relax on your long journeys by road or by air. Whether you prefer smaller or larger, ­firmer or softer, one of these pillows should be right for you. 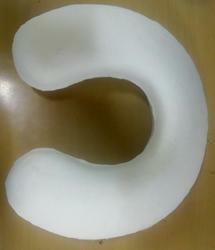 Description 1) Micro-bead Travel Neck Pillow. 3) Consists of: 85 percent Nylon, 15 percent spandex outer fabric. 4) Available with washable outer cover. 5) Available with a button that helps to keep the pillow intact while sleeping or reading.